Hello, I am a licensed guide and a certified travel supervisor. I wanted to start kimono photo studio for the travelers to Japan, and my dream came true with the help of a kimono maker. 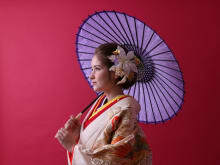 Currently I work at a kimono photo studio in Meguro, Tokyo as a guide. I really enjoy talking people from all over the world! You can enjoy a photo session with our special kimonos, which were carefully selected by professional kimono makers. These kimonos were recreated to be shown more beautiful in the pictures. Please enjoy kimono photo shooting and have a peaceful time with us. Enjoy Harajuku, Meiji Jingu, or anywhere in Kimono all day! Kimono Studio Wa was fantastic, they took great care of my wife and 2 kids, we ended up with great photos. 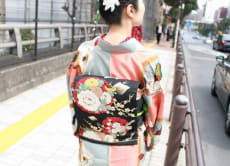 Such a large selection of kimono to choose from, many accessories. Hair and makeup were extra but well worth it for my wife. Most wonderful experience ever in Tokyo - to walk under long rows of Sakura trees on the Meguro river bank! Seeing smiles lit up on your family's face all the way through this experience is priceless. And they even have little Kimono for my little 1 year and 4 months old baby girl!!! Such a cool experience and the most lovely, warm and friendly hosts. Worth every penny!! !